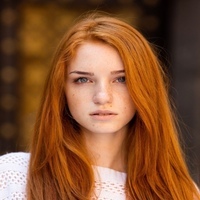 Redhead with a smattering of freckles. Has elongated canines, mimicking tiger fangs. Also has cat eyes that are gold with an inner ring of green instead of ‘typical’ human eyes. Tiger Appearance: Body is about 2.4 Meters (About 8 feet) long and tail is about two and a half feet long. She is approximately 3 and a half feet tall at her shoulder. In this form she weighs about 350 pounds. She is a beautiful mix of golden orange colour and elegant black stripes with an adorably pink nose. Velvan is a cunning and resourceful person. She surprisingly, considering her breed, is quite friendly and sociable due to the fact that she was raised by wolf Kelvics, but she overall prefers solitude, especially after a long day of socializing. She loves to read, even if she is not particularly good at reading due to that she never had the patience, much like many young unbonded Kelvics. She is typically quiet, but her quietness hides her energetic and friendly nature. She is quite the epitome of a tiger Kelvic, but she has a few qualities of a wolf Kelvic due to her upbringing (Namely being friendly and not completely solitary). Velvan was born to two Wolf Kelvics in Zeltvia. She lived with them until she was around a year old, so approximately an 18 years old for humans. She then traveled for a little while with her parents, gaining hunting experience and moving to Lhavit. She then wound up in in the city just after her second birthday and has lived there since, though her parents headed back to Zeltvia. She has yet to ever be bonded. She can easily ‘talk’ to fellow tigers, and can roughly communicate with house cats due to that she is a distant relative of house cats. She shifts as regularly as she can, enjoying being in her tiger form significantly and regularly hunting in tiger form for herself and for her job. She has learned how to cleanly kill in her tiger form so that she can sell the meat properly and so the meat is not torn messily. Lore of Wilderness Survival: How to light a campfire. Leather (Kelvic) Collar with small metal pendant of a moon. Last edited by Velvan on November 24th, 2018, 1:16 am, edited 1 time in total.